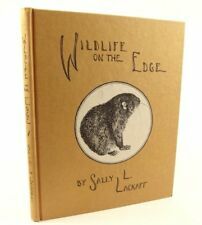 We are RareTome.Com (website) & CollectibleBooks.Org (ebay store)- We search diligently, around the world, to find high quality books to offer customers. We describe and photograph each book taking care that customers can be sure of what they'll receive. We post bookish treats almost daily to Instagram as RareTome. Our customer feedback is delightfully positive (see reviews) and should offer assurances to the quality of our books and descriptions. 1903 The Earthly Paradise by William Morris (of the Kelmscott Press). Longmans..
Alice's Adventures in Wonderland by Lewis Carroll. Tenniel illustrations. The Tragedy of Hamlet, William Shakespeare. Peter Pauper Press. Slipcase. 1929 The French Book in the Eighteenth Century and the Empire by Furstenberg. 1880 Pictorial edition of William Shakespeare Works; Charles Knight notes. Nine finely bound books (fine binding), slightly distressed, from broken sets. 1854 Jerusalem Delivered by Torquato Tasso (16th century). Armorial binding? 1957 five volume set, Lands & Peoples, The World in Color. Richly illustrated. 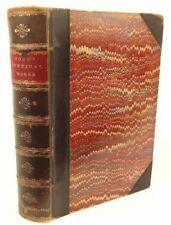 1822 Don Quixote, new edition with Copius Notes and Life.Complete 5v. Cervantes. 1930 1st, Enchanted Brittany by Amy Oakley. Beautifully illustrated. Clean copy. 1930 Gruden's Complete Concordance (Bible). Publisher's binding. 1961 Cats, by Moncrif. Golden Cockerel Press. Limited edition. 1930 The Shepheards Calendar, Edmund Spenser. John Nash illust..Pochoir.Cresset. 1948 Tales from the Decameron, Boccaccio. Illustrated. 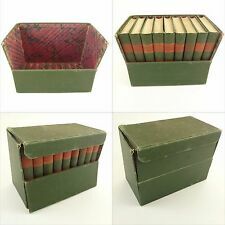 Five 19th c. French books,matching bindings. Uncle Tom's Cabin,Sarah Barnum,etc. Victorian era Edward Bulwer Lytyon, The Caxton's & Lelia.2 works in one binding. 1923 Essays of Elia, Charles Lamb. Illustrator - Charles Brock. Riviere binding. 1940 Tales of Sherlock Holmes, Arthur Conan Doyle.